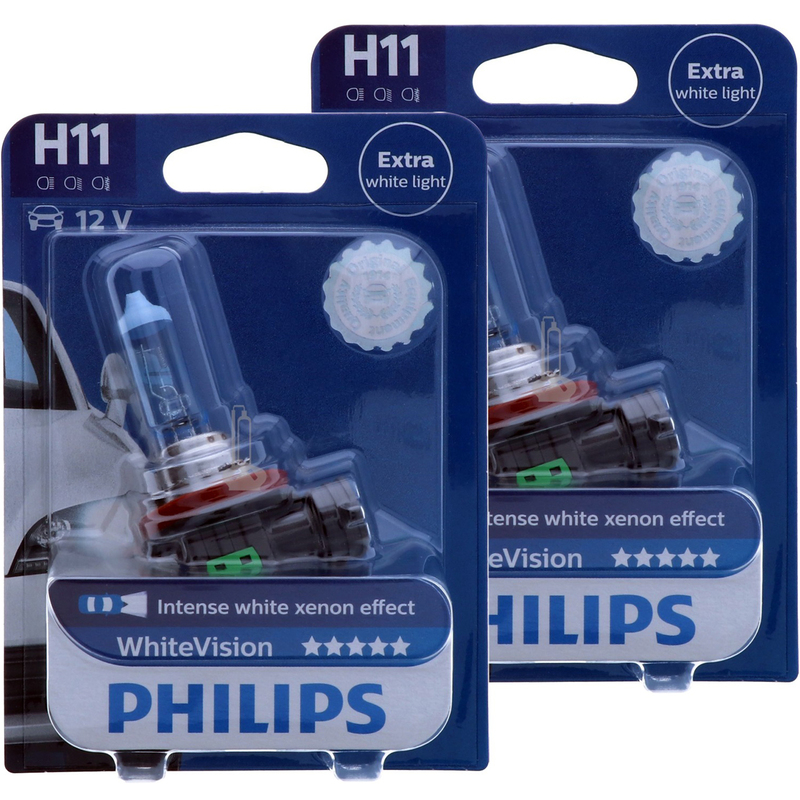 Philips WhiteVision lamps add an intense white Xenon look to your car headlights for a premium driving experience. 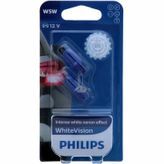 The increased brightness with significantly whiter light makes them the perfect combination of style and safety. Outperforming any blue car bulbs on the market, Philips WhiteVision headlights are the right choice for drivers who want to drive with style without compromising on safety. 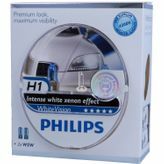 With a high colour temperature and a stylish white cap, WhiteVision is the ultimate upgrade for your headlamps. 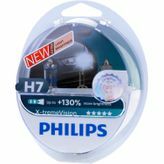 The Philips-patented third generation coating technology is an evolutionary masterpiece making WhiteVision the first headlamp with a truly white light.